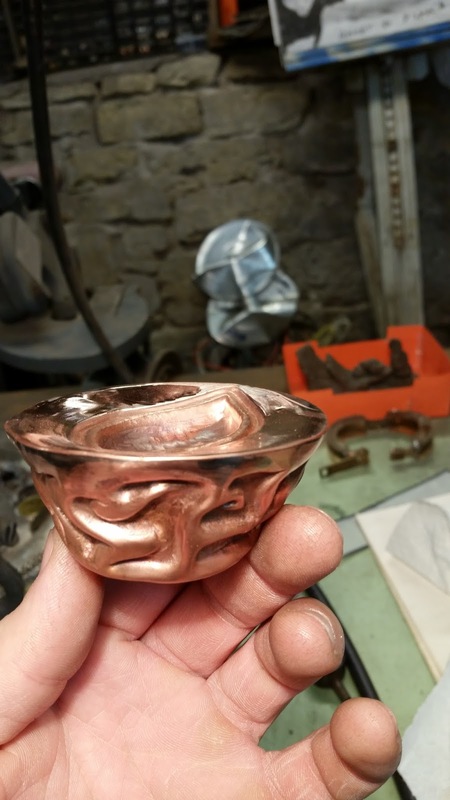 I've also been stepping outside of the normal routine, if you can call it normal or routine, to work on some other methods of vessel making. I'm always trying to learn, improve and try different things. "To stay cup" fabricated from copper with chasing and repoussé for the lid. Actual size and functionality minus food/drink safe. 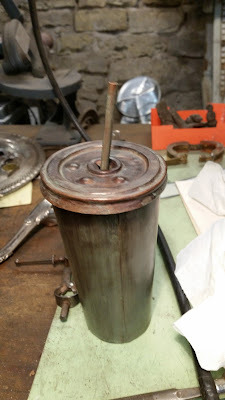 Made from reclaimed architectural copper, copper pipe for straw and motor winding wire for rim. New vessel in the works. My less common two piece construction, raised and fabricated from reclaimed architectural copper with details from chasing and repoussé. 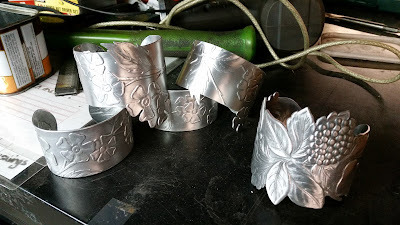 Not my typical metal choice but aluminum bracelets made from repurposed platters with floral designs. "Elephant" in progress. 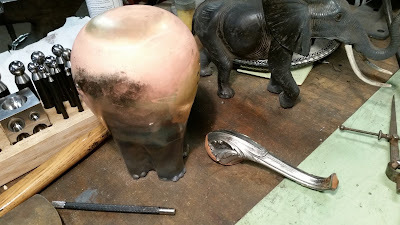 Working from repurposed brass pitcher pewter pour spout. 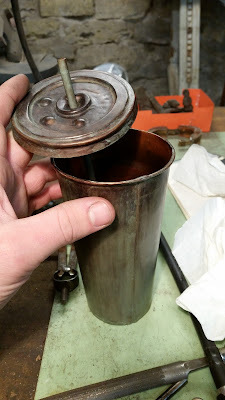 I am preparing to recast the pewter spout in brass so I can actually solder it, but I may fabricate one from scratch instead. Those are some good designs. Good luck with completing those. And congratulations on being published in a newspaper. It realy is remarkable. Looking forward to reading your interview.